George Clooney is one of Hollywood’s top American actors whose expertise encompasses that of film director, producer, and screenwriter. Clooney was also the recipient of the American Cinematheque Award in 2006, an award that honors an artist in the entertainment industry who has made “a significant contribution to the art of motion pictures”. George Timothy Clooney was born on May 6, 1961 in Lexington, Kentucky to his parents broadcast journalist Nick Clooney and Nina Clooney. He grew up with his parents and sister Ada. At age fifteen Clooney was diagnosed with Bell’s palsy, a paralyzing disease that affects one facial hemisphere; fortunately his features were corrected as he grew older. Clooney attended college in Kentucky but did not show much interest in an intellectual path. One day through the actions of his cousin Miguel Ferrer Clooney landed a role in a film which opened his eyes to his career path. He made the decision to follow his new dream by moving to Hollywood despite his parents disapproval. 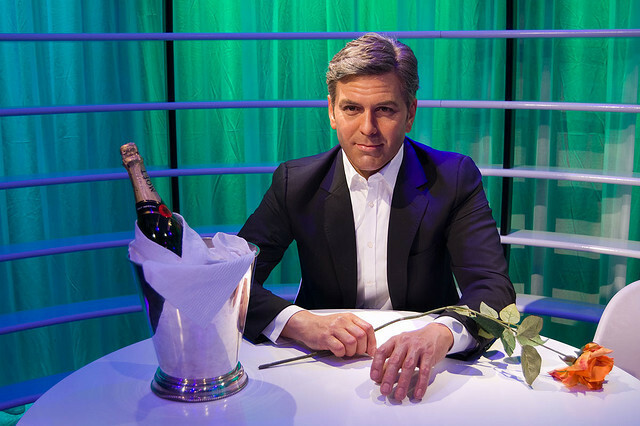 Clooney made the move and went to live with his aunt, undertaking odd jobs to support himself and his aspirations. Clooney eventually went to reside with a friend and began looking for auditions; some led him to small roles in various television pilots. He got a break when he landed a role on the sitcom Facts Of Life for a short period. After leaving the show Clooney made appearances in other television series including Roseanne, Baby Talk and Sisters and also appeared in movies such as, The Return of the Killer Tomatoes, Return to Horror High, and Red Surf. Clooney’s biggest break came when he was given the role of Dr. Douglas Ross for the new television pilot ER in 1994 which quickly climbed to number one. Clooney spent 5 years with the show before moving on to other roles.